Brazil Cerrado Coffee Beans: 100% Arabica and the highest grade of the famous Brazilian beans, lively and inviting with a smooth, sweet taste. Beans from the Cerrado region have cupped better than those from the Santos region. Cerrado is a huge region in Brazil, meaning "savanna", or central plateau. Coffee grown in this region is cultivated at an altitude of 200-500 meters above sea level--quite a bit lower than our Strictly Hard Bean (SHB) Central American Coffees. Because Cerrado is a softer bean, some roasters think it shouldn't be roasted overly dark. Other Roasters thinks Cerrado should be roasted dark, but watch out for scorching. Dark roasting brings out an exceptional nutty flavor and enhances the body of the coffee. Our Cerrado is a traditionally natural dry processed coffee. This method creates a complexity of flavors. Brazilian coffees make excellent bases for some very intriguing blends, particularly in espresso. A lot of the very best espresso blends have a Brazilian base. 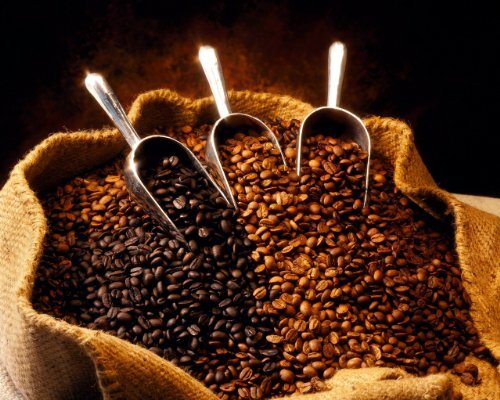 Many of the finest Italian espresso blends are mostly Brazilian coffee. It will add body and sweetness to your blend, and helps form a wonderful crema in your espresso. Since it is a dry processed coffee, it may roast a bit unevenly, but this only adds to the complexity in the cup. It actually makes a fine cup on it's own. If you have any questions about this product by RhoadsRoast Coffees, contact us by completing and submitting the form below. If you are looking for a specif part number, please include it with your message.